Columbia Crossing: "Your voice is needed today"
Among many values being passionately voiced in political arenas all over the world at present, if you are invested in the future of the Portland-Vancouver region, you'd better speak up now. The Oregon and Washington Departments of Transportation just made their recommendations to our governors on February 25 to place “another Marquam Bridge” (composite deck truss bridge type) across the Columbia River at I-5. We urge you to immediately join us in telling our governors that the public wants a bridge which will embrace our landscape and catalyze opportunities for our communities’ vitality and economic growth via excellence in urban planning and design. Of the three bridge types that the governors will imminently choose among, the cable-stayed bridge type is the one that Portland, Vancouver and the larger region deserve. Furthermore, we advocate that efforts begin immediately for the project to engage a talented and experienced architect to lead the design process of a world-class bridge. This massive investment by our community deserves no less of a return. The DOTs' recommendation is based on a report by an expert Bridge Review Panel, but it appears to leave out some important information, and has its own takes on other aspects. We would encourage you to read the BRP report. The DOTs say their recommended composite deck truss is the most affordable. In truth it is: it would save less than 2% of the total $3.2 to $3.6 billion Columbia River Crossing project over the cost of a cable-stayed bridge. That's less than half of what the CRC Project has spent developing the idea the experts said would not work. Is that enough to make us live with “a Marquam Bridge” over the Columbia forever? They say their bridge type maintains the project schedule. In fact, the Bridge Review Panel’s study shows an identical ranking for construction schedule for both the composite deck truss and the cable-stayed bridge types. They completely ignore the fact that the cable-stayed outperforms the composite deck truss seismically. They say the composite deck truss minimizes environmental impacts. In fact, it does result in an 8,000 square foot smaller footprint in the water; but that footprint lives in 10 piers, as compared with the cable-stayed’s 3 piers. Surely, there will be greater marine disruption in installing all of those piers! They say the composite deck truss honors commitments that have been made to communities in both states. In fact, the commitments to the City of Vancouver and the residents of Hayden Island were based on the discarded open-web box girder design. With improved landings that consolidate the footprint of the interchanges, the cable-stayed bridge type could provide far greater benefit to both sides of the river. They completely ignore the Bridge Review Panel’s assessment of public support for the bridge types, which shows Cable-Stayed as number one, and Composite Deck Truss at dead last of all four bridge types. And we thought this was a public project! Please -- WE URGE YOU -- take a few minutes to write to your elected officials and ask them to BUILD THE RIGHT BRIDGE NOW – one that will bring the greatest return on our investment in the Columbia River Crossing. We have provided some draft language, below; please adapt it to represent your views or write your own letter, and send it to your governor with copies to the official representatives listed. You may also submit your comments to the CRC online at feedback@columbiarivercrossing.org. As your constituent, I urge you to BUILD THE RIGHT BRIDGE NOW at the Columbia River Crossing. As you are poised to make a crucial decision that will determine the CRC project’s path forward, please consider the communities most affected by that decision, the potential for positive growth in the region, and the legacy that will be left for future generations. costs $40 million less than the original plan. It is less than 2% of the total $3.2 to $3.6 billion Columbia River Crossing Project more than the composite deck truss. That's less than half of what the CRC project has spent developing the idea the experts said would not work. The Columbia River Crossing will serve as a daily reminder of your leadership to thousands of residents and visitors of this region for decades to come. As a nation, we are in a heated debate about the legacy we will leave our children and grandchildren with respect to many important issues. This bridge will boldly influence the sustainability and future development of the region. Our great responsibility to future generations is to build the best bridge and concurrent transportation infrastructure. This is a profound opportunity to unite our region, embrace our landscape, and catalyze opportunities for vitality and economic growth on both sides of the Columbia River via excellent urban planning and design. Please don’t disappoint us. Please select the cable-stayed bridge type and immediately begin the process to engage an experienced and talented architect to lead the design process of a world-class bridge. This massive investment by our community deserves no less of a return. The Architecture Foundation of Oregon advocates the enhancement of our built environment, the livability of our communities, and preservation of our rich architectural heritage. Editor's note: the following is a copy of a letter sent February 18, 2011 from the Columbia Crossing's official Urban Design Advisory Group to the governors of Oregon and Washington. The DAG is urging an end to top-down decision making in favor of listening to citizens and experts. It's an unfortunate commentary that this blue-ribbon panel has to resort to a public open letter just to get a meeting with these elected officials. work if the constraints were reduced or removed," says the CRC latest update report." communities and stakeholders in both states, and overall risk." If you'd like to make your voice heard, contact Governor Kitzhaber here. We represent Portland and Vancouver citizens who have participated in the Urban Design Advisory Group (UDAG) for the Columbia River Crossing. Our group of design professionals has spent many years supporting the CRC and trying to build regional consensus through excellence in design. We supported the Governors' appointment of the Bridge Review Panel and also recommended experts to be part the panel. A few of us were asked to serve as subject matter experts and were present while the experts discussed our situation. We agree with the Bridge Review Panel Final Report that states, "the new Columbia River crossing represents the most dramatic river structure in the northwest and may be one of the last major crossings ever to be built along the West Coast." Because this is such an important decision for our states, We, the members of the UDAG, formally request to be heard by our Governors prior to the decision being made on the bridge type for the Columbia River Crossing. As a group we believe the composite truss bridge will have little public support. Without support from affected neighborhoods, costly and lengthy project delays will occur. While improvements in constructability have been achieved, it is visually indistinguishable from the former, flawed local-preferred option. Likewise, the apparent short-term benefit of lower cost is outweighed if efforts to maintain the current curved alignment are retained. We agree with the Bridge Review experts that significant cost-savings to the project can be achieved overall without compromising the bridge structure itself. We have only one chance to build the structure over the river, while other project components can be phased or redesigned. In the past we have seen the tendency to make top-down decisions to try to force through a critical decision without meaningful public input. As the various independent reports of Bridge Panel experts have repeatedly confirmed, this has led us down the wrong design path. It did not work in the past, and we feel strongly that we should not repeat that mistake again. We support a cable-stayed bridge for a number of practical and beneficial reasons. This bridge type performs best in a major seismic event, while fewer bridge pylons in the river is preferable for fish habitat. And the record now shows that Pearson Airfield aviation concerns are manageable and solvable particularly with strong guidance and support from our elected officials. But perhaps most importantly, we have already observed this design helps galvanize public support for the project. We believe that selecting the right design now will bring the region together in a way that will finally make the bridge a reality. 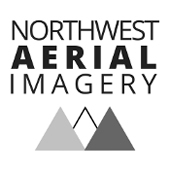 Because we know time is very important on this project, we will make ourselves available in Olympia and Salem at your first, earliest appointment. In an article from Tuesday's Oregonian (January 11), Fred Leeson writes about a high-density residential building in Portland’s Alphabet District that is important as an example of the continually shifting balance of the neighborhood's historic and architectural character with each new renovation or development. The detailed sensitivity of pedestrians to their environment in Portland impacts quality of residential and business life in our neighborhoods enough that the design potential for a site such as this ought to be well understood by all the key players. That may not yet be the case. The proposed project, developed by David Sackhoff of Arbor Custom, would replace an existing 17-unit apartment building at 2124 NW Flanders from 1895 with a new building 28 apartments. It's a matter of adding density, something the city desires, but in a way that threatens an old building which already contributes to density. The developer's approach is not based on urban planning, of course, but on the profit motive. Dan Anderson, a member of the Northwest District Association group, put it another way, saying the developer wants to put "10 pounds in a 5-pound bag." As Leeson notes, the project "has relaunched a debate about the character of new buildings in Northwest Portland's Alphabet Historic District. While some residents compared the initial design to a prison or a freeway motel...Sackhoff complains that nothing will satisfy them." Sackhoff may be on to something later in the piece, however, when Leeson quotes him telling the Historic Landmarks Commission, "I didn't think you guys wanted a replica building. That isn't architecture. Architecture moves forward." The implication is that a neo-historicist skin on a box, even if it is the suggested and/or proposed design, isn't the approach that will help the neighborhood retain its character or move into the future of appropriate infill development. It's worth noting that the proposed building has some things in common with another one that Otak, the architecture and engineering firm hired by Sackhoff, designed a number of years ago for a site on SW Park Place. That design, completed in partnership with CIDA, was condos skinned in a neo-historic style in order to fit in with the surrounding neighborhood. There were issues in the SW Park Place design that, ultimately, related to density and profitability, and dogged that project as it went through the review process. It was always either just at or over the height restrictions and was built as close to the property lines as possible; the roof forms were revised in order to mask the massing of the top floor, which created design challenges for those units. The building as initially proposed for the NW Flanders site also pushes the lot limits on all sides and is up to the height restriction in order to achieve the density desired by Sackhoff and his team; it is, in effect, a rectangular prism decorated with style references that are intended to tie-in with the neighborhood. The designers have achieved density but at the expense of important aspects to that street, much less the units themselves (a number are below street level). There is a rhythm of hard walls at the property line and open spaces of yards and drives directly adjacent to the sidewalk throughout the neighborhood. Residential units are most typically accessed through a central or pivotal entry scaled to complement the massing of the building, not off to the side as shown in the rendering. These elements, massing, program, and entry, create variability in the kind of light that reaches the street, afford differing levels of privacy to apartments and are the essence of the residential character of the Alphabet District regardless of period or style. The massing on that particular block face would be strained by the addition of the proposed building; it doesn't have a clearly recognizable front entrance and brings building wall and unit windows right up to the sidewalk. It's curious that there is such interest in developing that kind of density for that exact site, regardless of zoning. The proposed design certainly doesn't bow to history in its massing, doesn't consider the street section or building entry, and doesn't enhance neighborhood pedestrian space. A more adventurous approach to massing, one that allows breathing room for the lowest units and the exterior, but which challenges the height restrictions, could achieve a better result. Sackhoff and Arbor Custom Homes may wish to be involved in urban infill development. However, their pro-forma and largely suburban project experience may preclude a successful design for this kind of site. An approach to avoid the light-blocking, edge-to-edge type of form proposed would require challenging some aspects of the site requirements but could improve it as well as its immediate surroundings. This would first require that both the Historic Landmarks Commission as well as the developer challenge their preconceived notions of what they can and should do for that site. Heidi Bertman received her Master's of Architecture from the U of O in 1998 and worked with opsis architecture before moving to ZGF in 2004 where she is currently a designer. 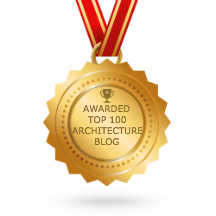 This is the latest in a series of posts by Portland Architecture guest blogger Corbin Keech. Corbin is looking at how the recession has affected recent architecture school graduates. Corbin received a bachelor's degree in architecture from Kansas State University in 2006, and worked for the past two and a half years at ZGF Architects. He now provides contract design work for several architecture, urban design and planning companies in Portland. Ken was born in Yokohama, Japan and designs bamboo furniture. He is calm, but impatient. For him, comfort is derived from spontaneity, and guesswork is an expectation. I mean this in the least disparaging way possible. In the past nine years he has lived in both Portland and Eugene as well as Hawaii, Rhode Island, California, and again in Japan for one year of college. He has worked for Nike and built elaborate bamboo installations in Ireland, Colorado, as well as two separate structures at the annual Burning Man festival in Nevada. After acquiring a master’s degree in East Asian Studies and Art History at the University of Oregon, Ken attended The Rhode Island School of Design. After a semester of architecture classes he switched to Industrial Design, only to subsequently drop out and leave RISD entirely after being challenged by a trustworthy friend. Ken's restlessness is only matched by his confidence that the details will eventually work themselves out. In other words, the most important part of design is the big idea. Such can be said about Project Chaboo. Conceived by Ken as a means to connect artists of all trades, Project Chaboo was a massive collaborative design experiment that took place this past March. While the show was organized by Ken it was propelled forward by a team of designers uniformly committed to the success of the event: Kari Merkl, Ken’s brother Yuji Tomita, Lisa Kuhnhausen, Emily Knudsen, and (in full disclosure) myself. to simply connect people and create good vibes. Ken had essentially tapped into something very simple that the community needed. We were collectively engaged the indisputably positive act of building. Moreover, Project Chaboo’s timing was crucial because people were struggling on every conceivable level, and we needed something positive in which we could invest ourselves. The only explanation for the event’s success had to be fortuitously making a connection with something outside of the event. Work of this nature is soulful, originating from within rather than a set of rules or programmatic guidelines. Improvised design is a rarity within the realm of architecture, and this is difficult to overcome given the fundamentally complex act of constructing buildings. Nevertheless, a spontaneous design process has the potential to rejuvenate not just a group of artists, but also an entire community. Project Chaboo was proof of this. While I’m loathe to admit that spontaneity and architecture typically don’t mix, I know for certain that extraordinary work was never been achieved without risk. Simply stated, I cannot imagine architecture without it. Furthermore, there’s something tremendously inspiring about design that is rooted in one’s instincts rather than precautions. It is without question an ethic that is applicable in any other field, especially architecture. This is the third in a series of posts by Portland Architecture guest blogger Corbin Keech. Corbin is looking at how the recession has affected recent architecture school graduates. Corbin received a bachelor's degree in architecture from Kansas State University in 2006, and worked for the past two and a half years at ZGF Architects. He now provides contract design work for several architecture, urban design and planning companies in Portland. My initial interest in architecture was never about having an impact on society. It was not about participating in something larger than myself, or creating a legacy. Instead, at an early age I was merely seduced by the sight of a metropolis and its energy. More abstractly, architecture was more about expression and form. Being a virtuous artist was of above all my greatest concern. However myopic and naive these attitudes were, I luckily was not immune from seeing the bigger picture. Professional work has illuminated the value of contributing to a project that is rooted in something outside of itself. While it took some time to see how meaningful this process can be, for others working for a larger cause was the objective from the start. Eden Brukman radiates this ethic. Today, Brukman is the Research Director of the Cascadia Region Green Building Council and, like Naomi Cole (the subject of last week’s “Besides Architecture” post), has found a means of influencing the architecture and urban design world on an enormous scale. Similarly idealistic and purposeful in her quest to implement broad and sweeping change in sustainable design, Brukman is another example of an individual who found architecture to be a means to an end: a way of discovering her true calling. Brukman earned a bachelor’s degree in architecture from the University of California, Berkeley with a minor in visual studies - a program she crafted on her own. From there she earned a Master’s degree in illustration from the Edinburgh College of Art in Scotland. While at Berkeley she had an internship at Esherick Homsey Dodge and Davis, a high respected architecture firm in the Bay Area, and after graduation worked at Richard Meier & Partners. With Meier, she contributed to projects such as the Crystal Cathedral in Anaheim (pictured above and below) as well as the landmark Getty Center in Los Angeles. Nevertheless, she felt limited by the amount of attention one project required. Implementing and advocating for more environmentally responsible design strategies was a means of expanding the breadth of her influence, presumably with greater, more expansive results. A move to Portland during this career transition was the ideal way to address this sense of duty. She spent four years as the Sustainability Coordinator at SERA Architects before moving to her current position at Cascadia, where her primary concern is developing the standards and procedures of the International Living Building Institute’s groundbreaking Living Building Challenge. The purpose of the program is to create design, construction and occupancy standards with which the built environment is in perfect balance with the natural environment. The Living Building Challenge is, according to the ILBI website, a “rigorous performance standard that defines the closest measure of true sustainability in the built environment, using a framework of what is currently possible and given the best knowledge available today.” While different levels of LEED certification are earned through credits and prescriptive standards, Brukman says the Living Building Challenges is instead an “additive” process more akin to building codes. It's not to suggest Brukman developed an aversion to the narcissistic tendencies of the architectural world. Rather, she firmly believes that outreach and research are ways in which she can personally give back as well as feel professionally sated. Additionally, she believes that architects often search elsewhere because of a subconscious thirst to have an impact in the world, and sometimes architecture is quite frankly, stifling. While this reinforces the idea that architecture both sustains and defeats us, what I continue to find compelling is the notion that these struggles force us to grow in ways that allow us to succeed elsewhere. Not only are our skills transferable, but we also develop an itch to continually search for something greater, whether it is through our work or personal lives. Ken Tomita’s story (subject of the next installment in this series) is one of resiliency and decisiveness, and further proof that gut instincts are there to follow, not dismiss. Note: This is the second in a series of posts by Portland Architecture guest blogger Corbin Keech. Corbin is looking at how the recession has affected recent architecture school graduates. We hope to continue guests posts by Corbin from time to time after that. Corbin received a bachelor's degree in architecture from Kansas State University in 2006, and worked for the past two and a half years at ZGF Architects. 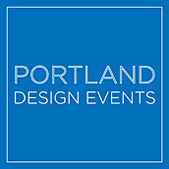 He now provides contract design work for several architecture, urban design and planning companies in Portland. Like Kari Merkl, Cole had an early interest in architecture. For an eighth grade thesis project, she was mentored by Kent Duffy, a principal with SRG Partnership. She spent a summer in high school studying architecture at the Rhode Island School of Design, and three separate summers in high school and college as an intern at Thomas Hacker Architects (now THA Architecture) . Throughout these early explorations, she continually imagined ways in which design could be married with a sense of environmental and social responsibility. In high school, a lecture by William MacDonough at Portland State solidified her interest in the field as he explained why architecture and design is the effective route to environmental responsiveness. “His message resonated. I hung on every word," says Cole. Indeed, architecture is endlessly complex. So could this explain why architects have a tendency to look elsewhere? Certainly it is not this simple, especially given the complexities Cole and others presumably face when working with municipalities and non-profits. The bottom line is that Portland puts us at an advantage as individuals and as designers. As more architects lose their jobs and work continues to destabilize, we are forced to reevaluate our respective skill-sets. The benefit of taking inventory of what we love versus what we must do to survive is that a new opportunity could potentially reveal itself. Our city is more affordable, the social networks more accessible, the professional world less stratified, and the overall sense of community more pronounced. Perhaps this is an oversimplification, but it is nonetheless reassuring. Conversely, it is debatable whether things are that much different here. Cities larger than Portland certainly don’t have a shortage of creative, ambitious individuals. Moreover, everyone’s experience is slightly different, but no less meaningful. Perhaps Portland’s uncharacteristically familial atmosphere is not the silver bullet. As I continued to pursue the issue, Eden Brukman offered her perspective with equal saliency. Note: This is the first in a series of posts by Portland Architecture guest blogger Corbin Keech. Over three posts, Corbin will be looking at how the recession has affected recent architecture school graduates. We hope to continue guests posts by Corbin from time to time after that. Corbin received a bachelor's degree in architecture from Kansas State University in 2006, and worked for the past two and a half years at ZGF Architects. He now provides contract design work for several architecture, urban design and planning companies in Portland. The pursuit of professional satisfaction is indeed a grueling journey. We as architects are in continual pursuit of fulfilling our respective visions of a better built environment. Drunk on idealism, we conceive of a moment where we have created something both heroic and meaningful. But in this Great Recession, where the work is unstable, the budget lower, and the client more risk-averse, is it justifiable to choose a professional path that conflicts with or is divergent from one’s educational background? This is a question that architects, both young and old, have been struggling with. Personally speaking, it now seems inconceivable to pursue anything besides architecture. Architecture school isn’t exactly liberal arts, so what other jobs am I (or we) prepared to handle? If three years of intense professional apprenticeship, stacked atop five years of rigorous undergraduate study and overworking one’s self at the expense of health and personal relationships isn’t proof of commitment to this profession, then what is? Needless to say, the impetus for me to change direction must be, at a minimum, gargantuan. Oddly enough, several of my friends don’t feel quite the same sense of reckless devotion. Maybe they know something we don’t. Kari Merkl, Naomi Cole, Eden Brukman and Ken Tomita courageously chose to explore other options, and have succeeded thus far in fulfilling their respective visions. Diverse in scale, professional background as well as style, they are nonetheless united by their bravery, and have wholly embraced the unease inherent to the unfamiliar. Kari’s story is compelling in large part because it suggests that the skills architects commonly possess - discipline, thoughtfulness, expressiveness, etc. - are indeed applicable elsewhere. Taken further, if we do not attempt to understand this for ourselves, we are only limiting our own potential as designers. Which begs a serious question; given the limited time and space of architecture school, is it more critical we are prepared to be curious, assertive and creative individuals, but not necessarily well-conditioned architects? More broadly, is the source of the “architect’s disillusionment” a lack of preparation? It goes without saying that professional dissatisfaction is universal. Corporate law can be just as frustrating as corporate architecture. However, within the context of constructing buildings, writing policy, envisioning future urban growth, etc. we often wait years to see our ideas materialize, thus leading to a proportional amount of disappointment and frustration. While this isn’t the primary explanation for architects leaving architecture, it certainly plays a significant role. Naturally, as I explored this issue further, contributing factors revealed themselves elsewhere; regional characteristics, personal lives, and even the idiosyncrasies of the city itself. In talking to Naomi Cole (the subject of Part 2's post), I began to more fully understand the role of Portland in this discussion as well as her own professional decisions.